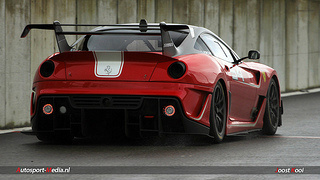 In 2011, Ferrari presented the 599XX sports car fitted with an Evolution pack which featured a completely redesigned exhaust system and rear wing, together with further upgraded electronics, and the use of new Pirelli tyres. A key feature of this sports racer was its rear wing which adjusted itself, as required, to produce the most optimum cornering characteristics. This was achieved by the positioning of two flaps which were able to move in such a way that they regulated the down force between the front and rear of the car. 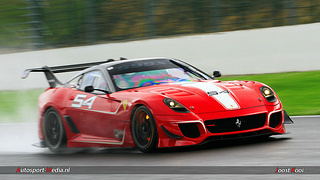 Compared with the 599XX, the Evo variant actually weighed in at 35 kg less. Once again, and not surprisingly, the 599XX Evo carried a price tag of $1.95 million which was, in fact, $450,000 more than that of the 599XX. Designated the 599XX Evolution, it was powered by the 6 litre, V12 engine whose output had been increased further to 750 bhp at 9000 rpm, and 516 ft/lbs of torque at 6500 rpm. 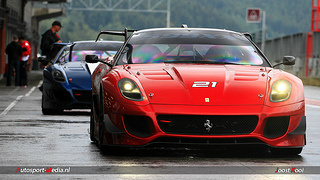 This represented a power increase of 30 bhp over that produced by the 599XX.